KADUNA, July 13, 2010 (CISA) -At least seven people, including a mother of six, have been killed by Islamic militants in Nigeria’s Kaduna state just four months after attacks left more than 500 dead in neighbouring Plateau. The charity Release International, which serves persecuted Christians around the world, is calling on the new Nigerian president to ensure greater protection for vulnerable Christians of all denominations in the country. Partners of Release say that armed men in military uniform shot dead seven Christians in Kizachi Dawai Chawai, Kaduna state, on 3 July. The gunmen surrounded the village at about 8.30pm and began shooting indiscriminately. The dead included a primary school teacher and a mother of six. Five others were taken to hospital with gunshot wounds. The following day, assailants wielding guns and machetes attacked Ganawuri, a village near Jos, in neighbouring Plateau state. Release sources say that the gunmen in both these latest raids were suspected Fulani militants from Kaduna. The Jos area was the scene of brutal violence against Christians in March which left 520 people dead, including many women and children. These same sources now accuse the Nigerian military of not doing enough to protect vulnerable Christian communities. One source reports that police had withdrawn from Kizachi Dawai Chawai the day before the attack, because the government had allegedly failed to pay their salaries. 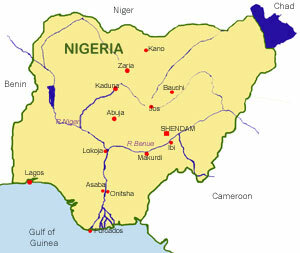 Plateau is located in the centre of the country between the largely Muslim north and the south. Along with religious tensions, tribal and political differences have seen an increasing polarisation between different ethnic groups there. With thanks to CISA News Agency for this report.